The FCC is opening a new band with rules to ensure spectrum sharing between different users. What kind of networks can be expected in this new band? The FCC is putting the finishing touches on its project opening the 3.5 GHz band to lightly licensed, shared use as the "Citizens Broadband Radio Service." This is a laudable initiative, cause for rejoicing, and will be the subject of much marketing activity in 2016; but success is far from assured. 3.5 GHz is one of the FCC's first efforts to improve use of scarce spectrum through sharing by different user groups. In this case, naval radars and satellite ground stations are the historic, incumbent users of the band, but they have used it only on a limited basis, at particular locations and times. Over much of the country, much of the time, the spectrum has been reserved but unused. Now, the FCC will allow more users. Incumbents are protected by exclusion zones around their known locations, but elsewhere the spectrum will be auctioned off to priority users who will be allocated 10 MHz bands per census tract (areas the size of a small town) for three-year periods. These users are the second tier; below them is a third tier, where any transmitter that checks with a central database of registered users will be able to transmit in areas that are not allocated or occupied. The industry applauds this plan because spectrum is a scarce resource, and to make best use of it we must become more flexible. Geographic databases, signal sensing, and other mechanisms can ensure that incumbent or primary users are not interfered with, but that they can be used when and where channels are unoccupied. Spectrum sharing is a new concept, however. It's possible, for instance, that a small number of carriers could buy up large tracts of spectrum, which would be a shame as the intent is to democratize the process and allow diverse players. The FCC has designed the process to avoid this and other pitfalls, but we can't predict exactly how it will play out. A more serious concern than over-use is the opposite. 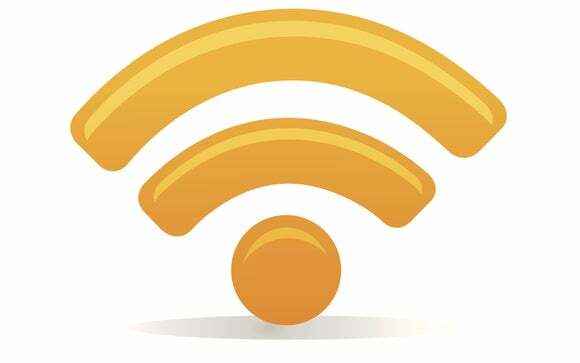 The Wi-Fi industry has considered the 3.5 GHz proposal and decided not to develop new standards to promote its use for Wi-Fi. This is due to the large exclusion zones around incumbent users, meaning a large area of the country would not be available for new transmitters. So it is unlikely that mainstream Wi-Fi products will be offered for the 3.5 GHz band. This is a pity, as the new rules are well-suited to organizations seeking to build private networks for internal traffic they wish to shelter from interference: hospital instrumentation, industrial plant control, even building automation would benefit from this technology as an extension of the Wi-Fi architecture. Instead, it seems the most likely way the spectrum will be filled by consumer devices is with LTE. This currently implies carrier networks, and will require the cooperation of a cellular operator and devices tied to the operator's authentication systems, by SIM cards or equivalent. But the LTE ecosystem may not organize successfully. The diverging business plans of individual players – chip makers, equipment vendors, device vendors and network operators – may result in the industry unintentionally missing the opportunity. If we expect this band to service today's mass-market smartphones and tablets, then the device vendors must be convinced that they should add support for 3.5 GHz. It will cost money to do this, and their return on that investment will need to be weighed against incremental sales revenues for products already selling hundreds of millions of units per year. It will be a difficult balance. Meanwhile, operators and network equipment vendors are enthusiastically pitching and posturing on 3.5 GHz, but none will move without seeing a commitment from the others. It's a chicken-and-egg dilemma for all parties. Absent a courageous unilateral decision by a device vendor (or a path to add 3.5 GHz to existing products at very low incremental cost) these necessary events may not unfold. The 3.5 GHz band will quite likely not develop for mass consumer devices using LTE. Which brings us back to private (Wi-Fi based) networks and niche markets. Many private organizations with public areas, notably hospitals but also airports, conference centers, hotels, and even schools, run parallel networks which respectively serve the visiting public and their internal needs. It's a continual concern – taking hospitals as an example – that actions by the public using Wi-Fi may interfere with patient monitoring equipment or transmission of patient records to doctors' and nurses' tablets, and since at present all this traffic uses the same spectrum, the concern is justified. Network managers would see value in moving internal traffic to sheltered spectrum (sheltered by virtue of scarcity of equipment and somewhat complicated licensing). And specialized equipment and client device vendors would be more flexible in adding support for the new band, even in the absence of a formal Wi-Fi Alliance standard, than consumer-device companies. So it will be well worth keeping an eye on this 3.5 GHz band over the next year or two. Three outcomes are possible. If consumer device companies add 3.5 GHz LTE, the cellular operators are likely to occupy the band for standard data services, and may possibly offer managed services for enterprise customers. Or maybe the Wi-Fi industry will have second thoughts and move into the band, either by extending mainstream Wi-Fi or as a niche, custom-equipment market for those willing to pay a premium to move communications to sheltered spectrum. In an ideal world, we would see both LTE and private wireless make use of the band. Or – and this would be a great shame, given the FCC's farsighted initiative, and might have implications for future spectrum-sharing opportunities – the industry may collectively fail to take advantage of the new band, either because we rationally see the market as too small, or because we just can't coordinate our efforts. It is an unlikely, but all too possible, outcome.